NEW BEDFORD, Mass. 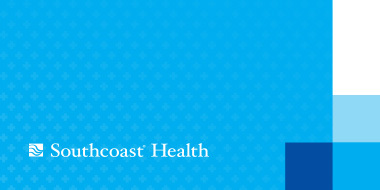 – Southcoast Health announced today the launch of Behavioral Health Connect, a publically available, online directory offering detailed information on behavioral health services and a wide range of community resources; including faith-based organizations, social services and community support groups from across the region for providers and residents. Behavioral Health Connect is simple to use and features search functions that allow users to fully customize searches by such factors as location, language or insurance. Search results are displayed based on relevancy and include basic information such as an overview of the services or organization and contact information. For more detailed information such as insurance, eligibility, pre-authorization and referral guidelines, simply click on any one of the search results to be directed to that agency’s complete profile listing. Through input from key Southcoast Health staff and over a hundred community providers, Behavioral Health Connect was designed and developed by Southcoast Health’s Application Technology Team in an organized effort to overcome identified challenges that exist across the behavioral health system and help reduce commonly noted barriers to care. “One of the reasons this is so valuable is that it is not static,” Davis said. “It is an ongoing process that will adapt to meet the changing needs of the community over time.” All profile listings will be updated every six months, so that they remain up-to-date, and new resources will be continually identified and added into the system. This resource directory was made possible through a Community Hospital Acceleration, Revitalization, and Transformation (CHART) Investments Program grant administered to St. Luke’s Hospital in New Bedford by the Massachusetts Health Policy Commission. For more information about CHART – including the complete phase one report – go to www.mass.gov and search CHART. Visit Behavioral Health Connect at www.southcoast.org/behavioralhealth to explore the database, add a listing for your practice or organization, or arrange a complimentary training on the database for your staff.